Shopping for Adventure Time T-Shirts? Get your Adventure Time with Finn and Jake on! 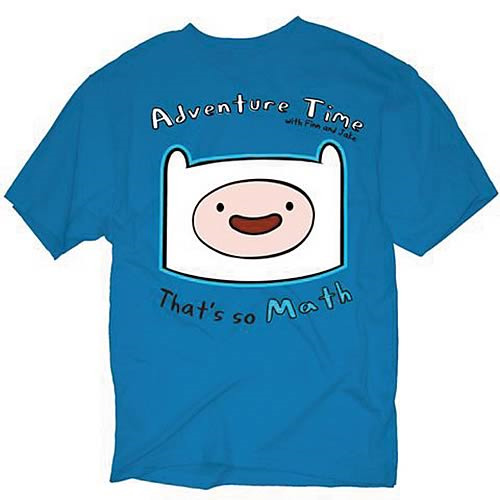 This awesome Adventure Time Finn That's So Math Blue T-Shirt features Finn's head with the Adventure Time with Finn and Jake logo. Plus, this tee even has Finn's quote on it, "That's so Math!"